Welcome to the Riley Park Health Campus website. We are excited to be re-starting the conversation with our community after taking 2016 to expand potential opportunities for the redevelopment of the Grace Hospital site. Since our open house held in Sept. 2015 we have solidified our partnering with the Salvation Army to include the Agape Hospice site in the redevelopment vision and are now finalizing the acquisition of Alberta Infrastructure lands along the northwest edge of the property. Our vision for the site has remained consistent since we started this dialog with the community in 2014. The formal inclusion of the Agape site and the Alberta Infrastructure lands will allow us to consider the overall development site more comprehensively and ensure a synergistic relationship with the community. Planning for this potential redevelopment project is in early stages. A land use redesignation and ARP amendment application has been submitted to the City. 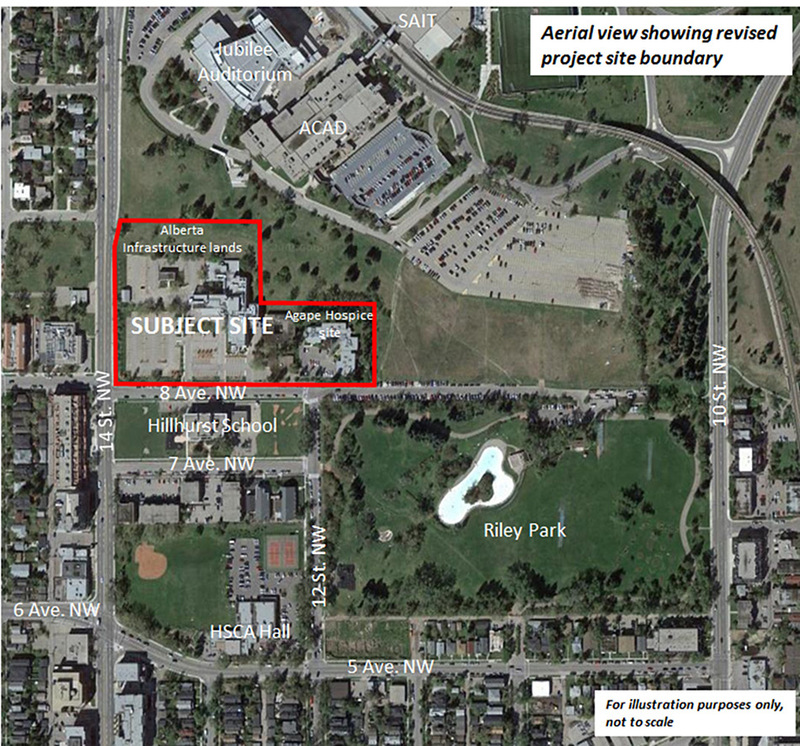 The City of Calgary hosted an open house for this proposed land use redesignation in the Hillhurst/Sunnyside Community Hall on Thursday, June 29. We had positive conversations with a lot of community members who took the time to come learn about the proposed project and share their aspirations and concerns for the site and its contexts with us: Thank you! We will review all comments received and use them to inform further planning for the site. If you missed the open house, you can review the information presented and provide feedback by completing the survey below. Registration is required for both workshops. Please visit http://engage.calgary.ca/gracehospital to register. As a member of the Hillhurst Sunnyside community, NorthWest Healthcare Properties is committed to a positive engagement process based on open communication to jointly explore the development potential of the Grace Hospital site. Project and engagement event updates will be shared soon, please check with us regularly. For information please contact Samuel Alatorre (samuel.alatorre@ibigroup.com, 403-270-5600) or Elvin Karpovich (EKarpovich@ibigroup.com, 403-270-5600) at IBI Group. We feel it is important to keep archived information available to the community. What you will find below is the information shared with the community in September 2015. Should you have any questions or would like to contribute your ideas for the future redevelopment of the site, please fill out the survey form or contact us at your convenience. We look forward to your input. This is a notice that a forthcoming land use redesignation and Area Redevelopment Plan (ARP) amendment application will be submitted in September for the subject site shown below. 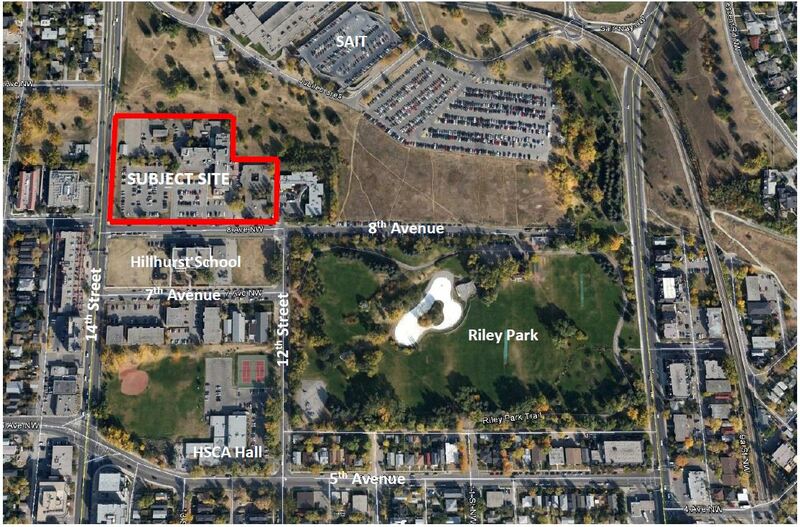 The subject site is located at the northeast corner of the 8th Avenue NW / 14th Street NW intersection, and currently goes by name of the Riley Park Health Centre. The subject site was once the location of the now-closed Grace Hospital. NorthWest Healthcare Properties is the current owner of the site. Please note: the forthcoming application is not for a development permit. As a member of the Hillhurst Sunnyside community for over a decade, NorthWest Healthcare Properties is looking forward to having input from the Hillhurst Sunnyside community to advance this project. In coordination with the Hillhurst Sunnyside Community Association, a Community Information Session is scheduled for the evening of September 15th, from 6:00-8:30, at the Hillhurst Sunnyside Community Hall. The information session is open to all community members. Information about the vision for the redevelopment project, conversations with community groups held to date, and upcoming community engagement events will be shared with attendees. Representatives of NorthWest Healthcare Properties and its consultant team will be present to answer questions and record feedback. If you are unable to attend the Community Information Session, information regarding the Grace Hospital Site Redevelopment Project can be found online at www.gracehospitalredevelopmentsite.com. This website will be used to share project information and updates with the general public, as well as notify the public of upcoming consultation events. If you have any questions regarding the forthcoming land use redesignation and ARP amendment application, or upcoming consultation events, please feel free to contact Samuel Alatorre (samuel.alatorre@ibigroup.com, 403-270-5600) or Elvin Karpovich (EKarpovich@ibigroup.com, 403-270-5600) at IBI Group. Additional project content is forthcoming. Check back soon for updates.